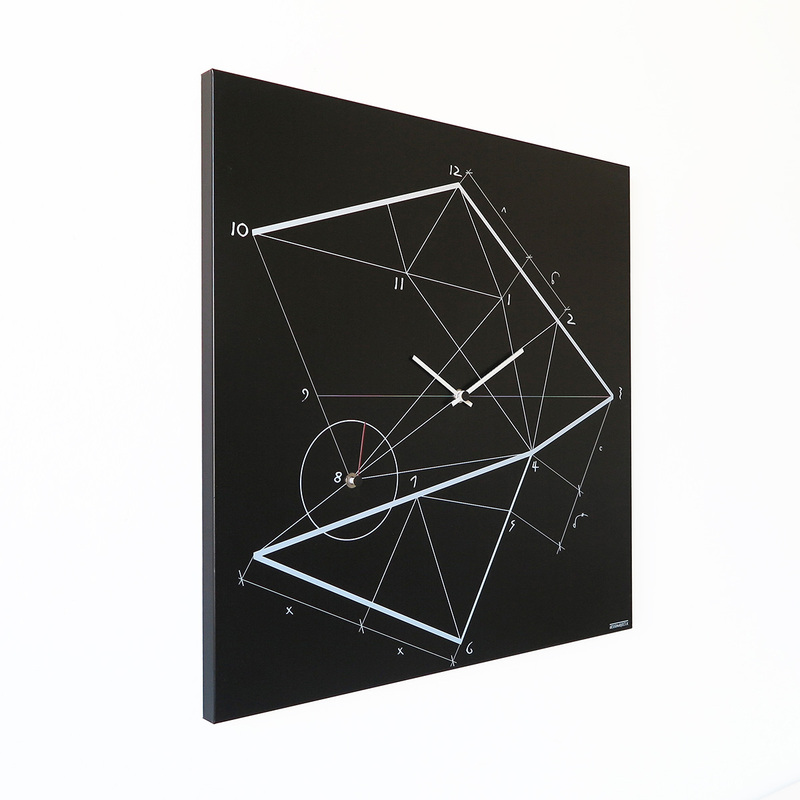 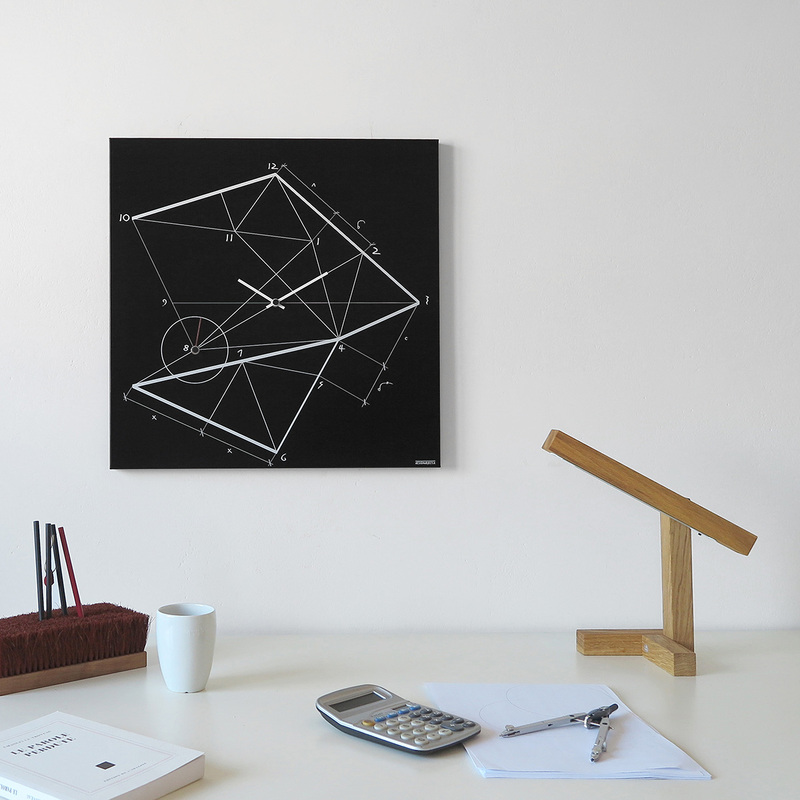 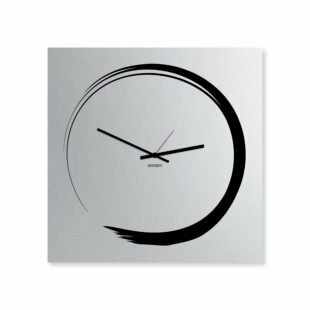 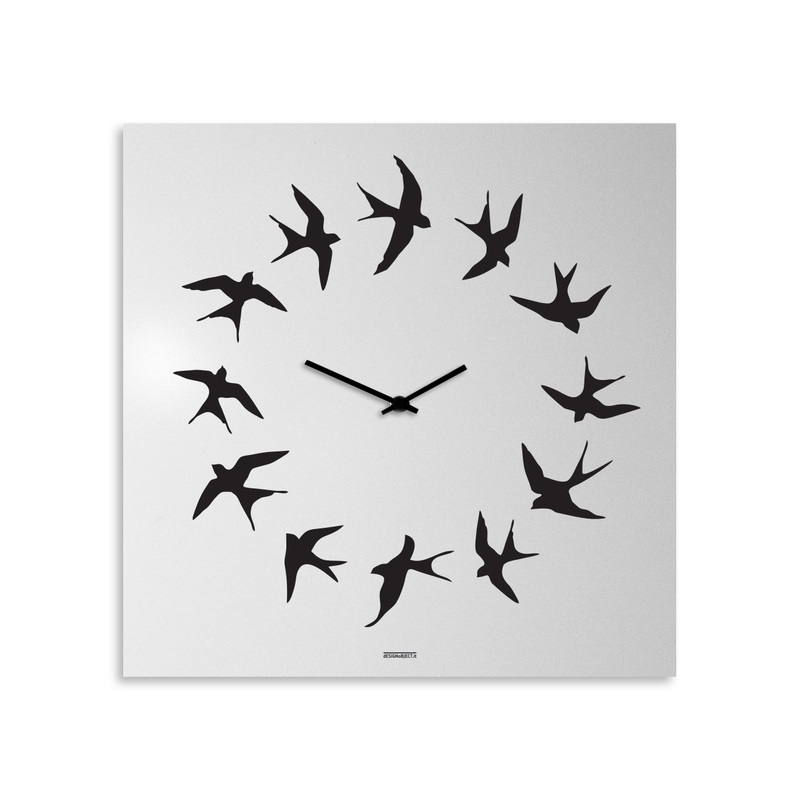 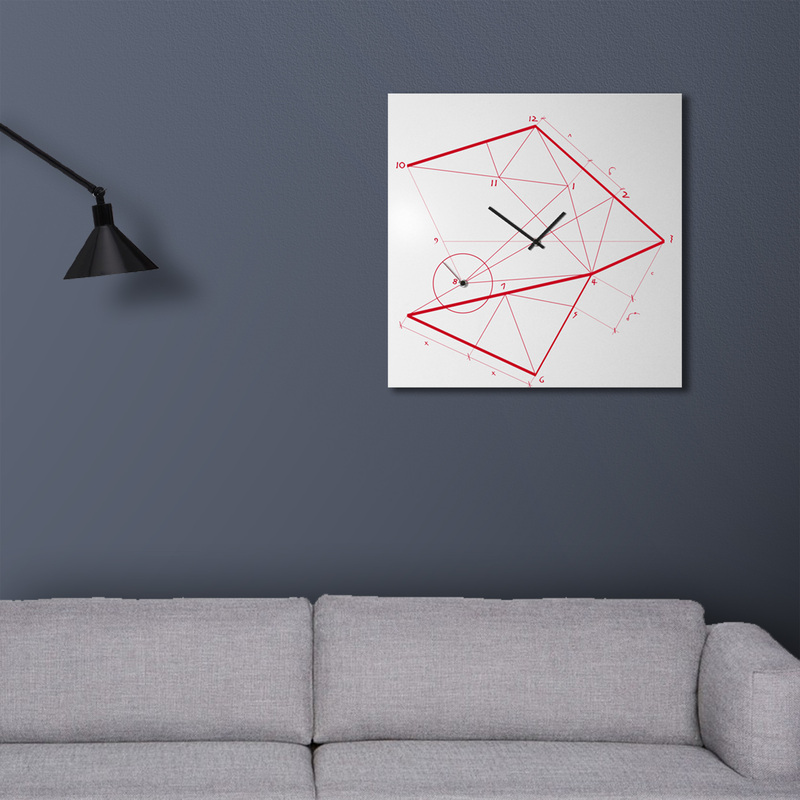 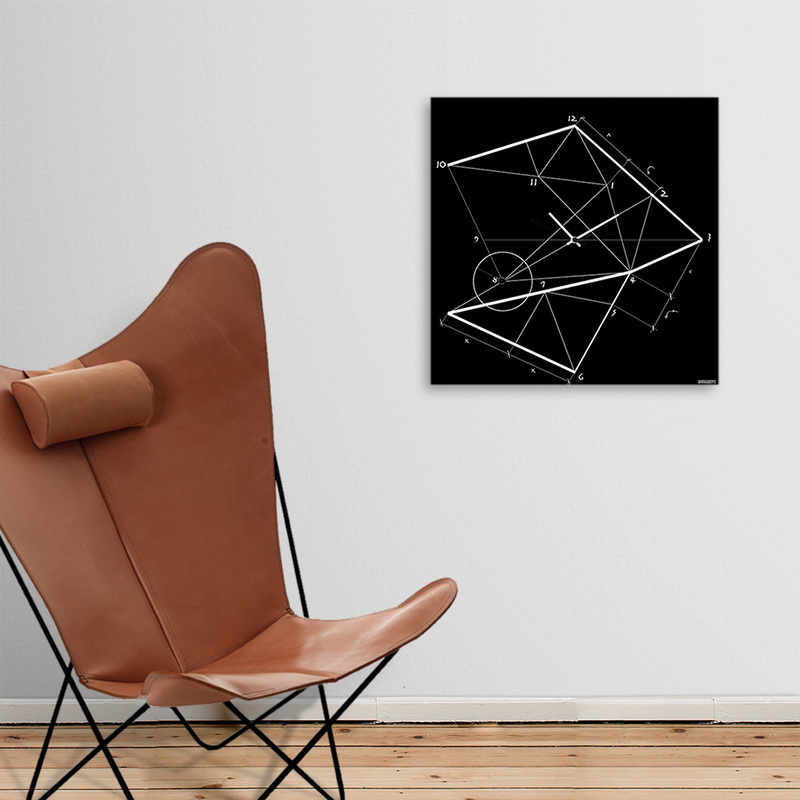 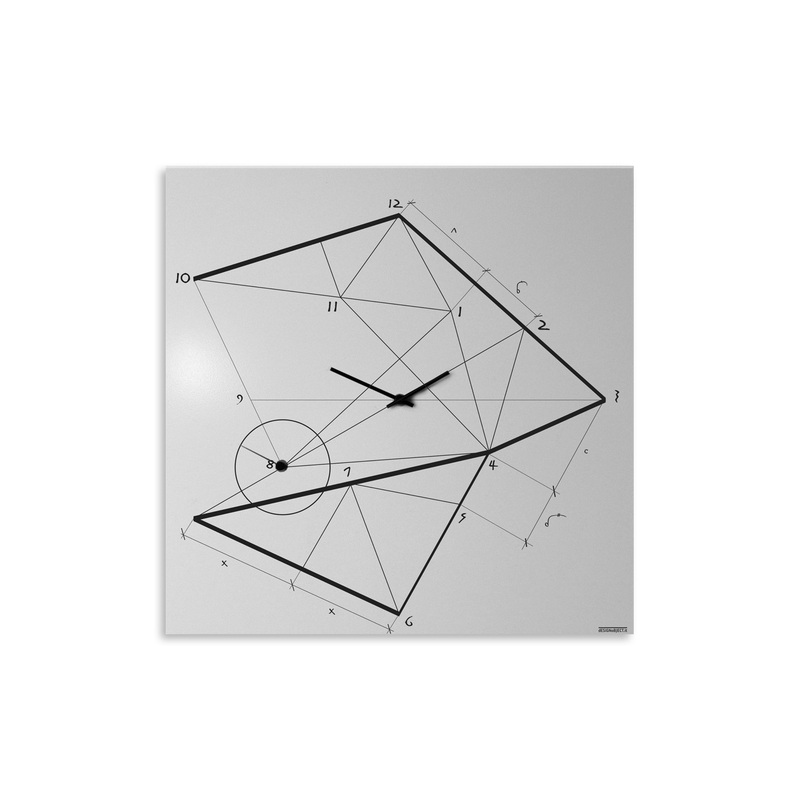 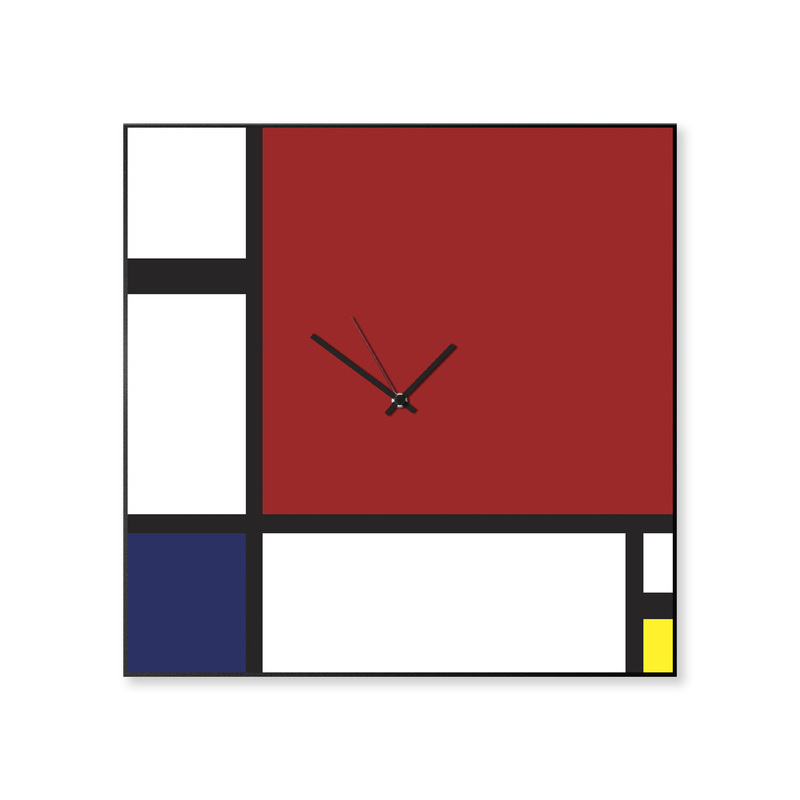 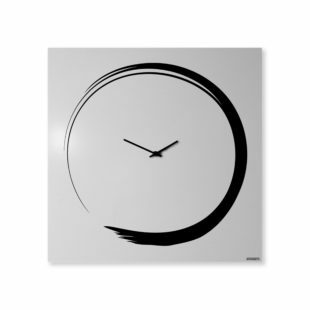 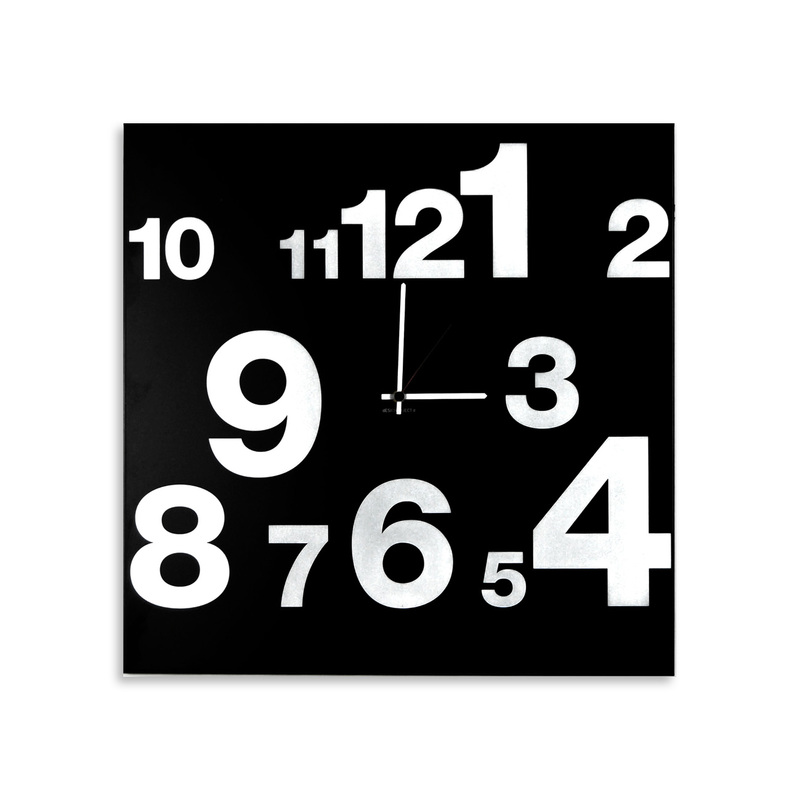 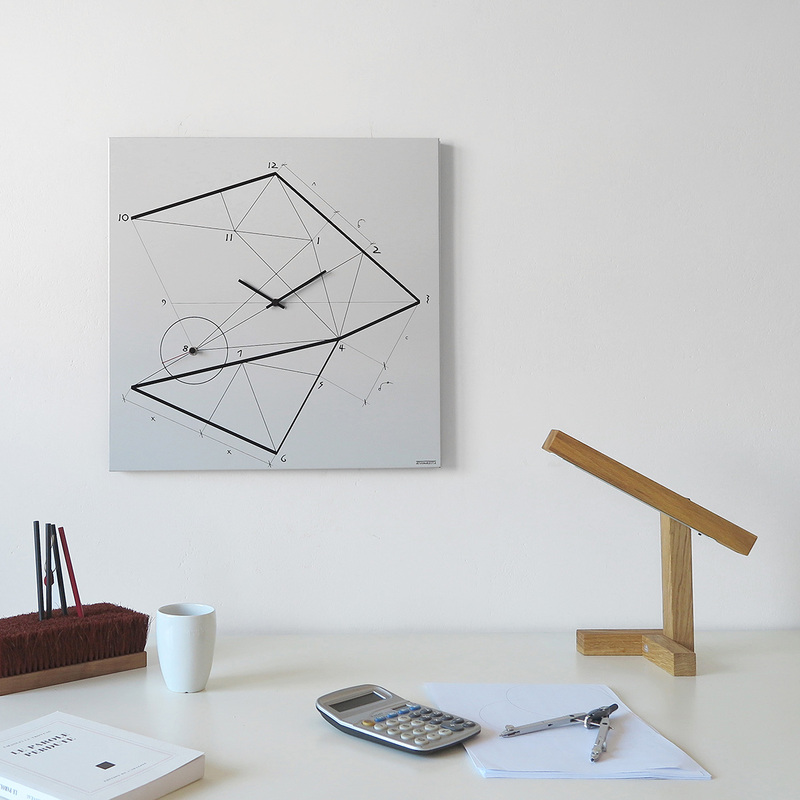 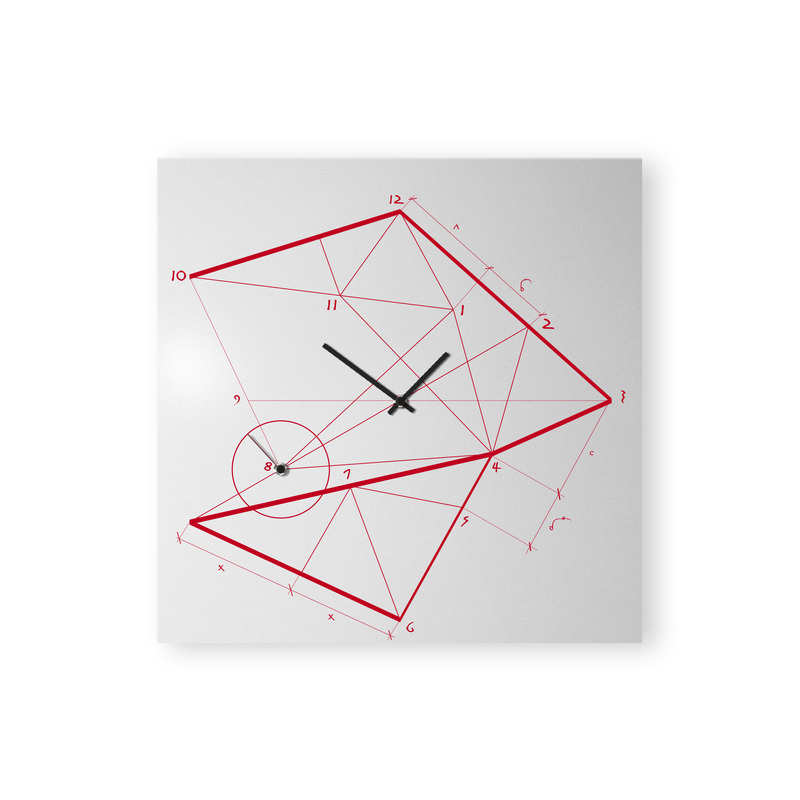 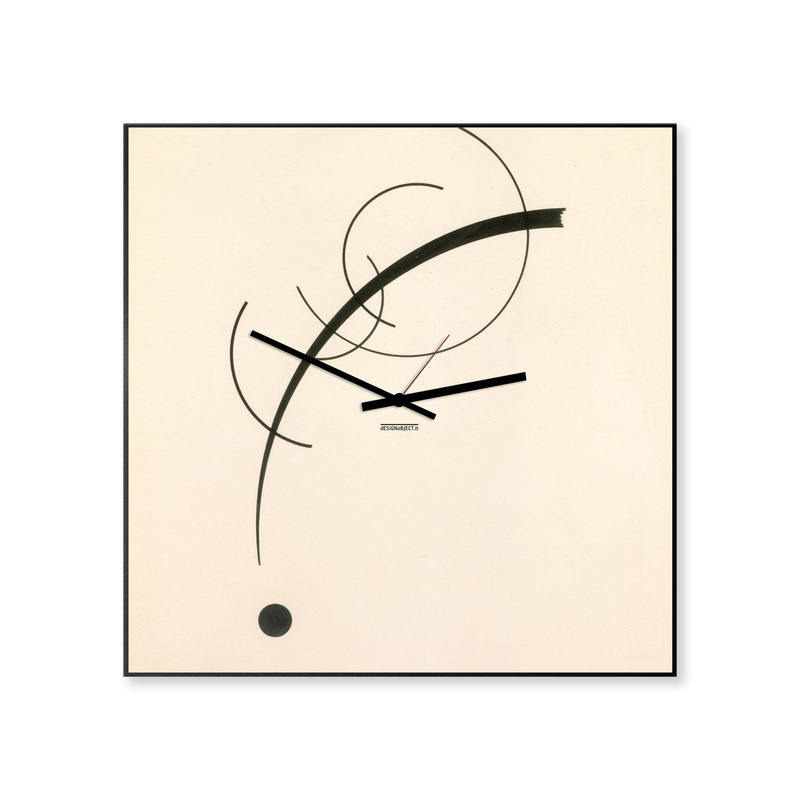 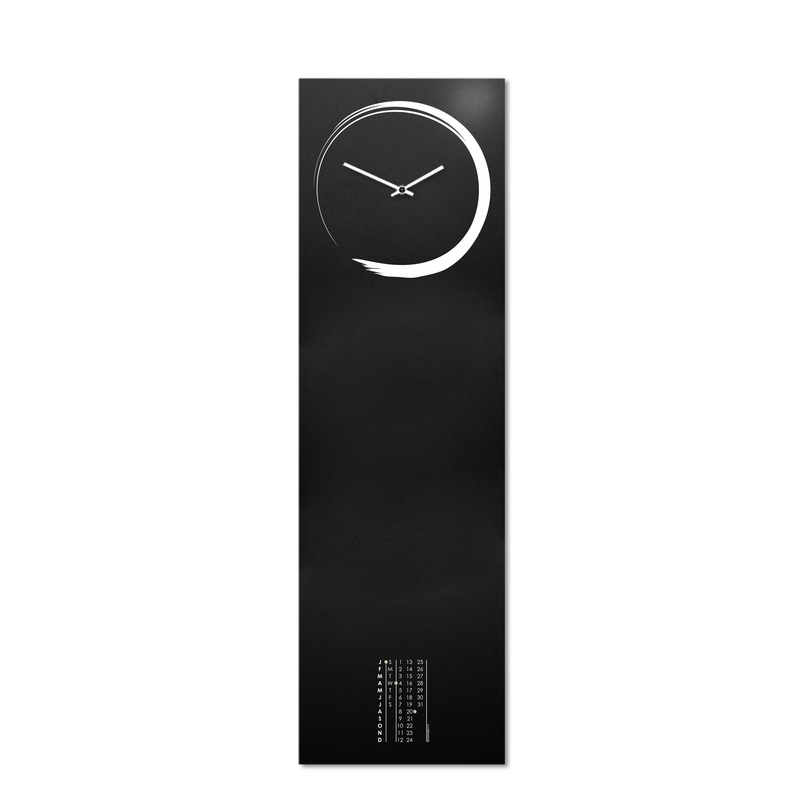 The Timeline Wall Clock gives an idea of ‘relativity’ through its original design. 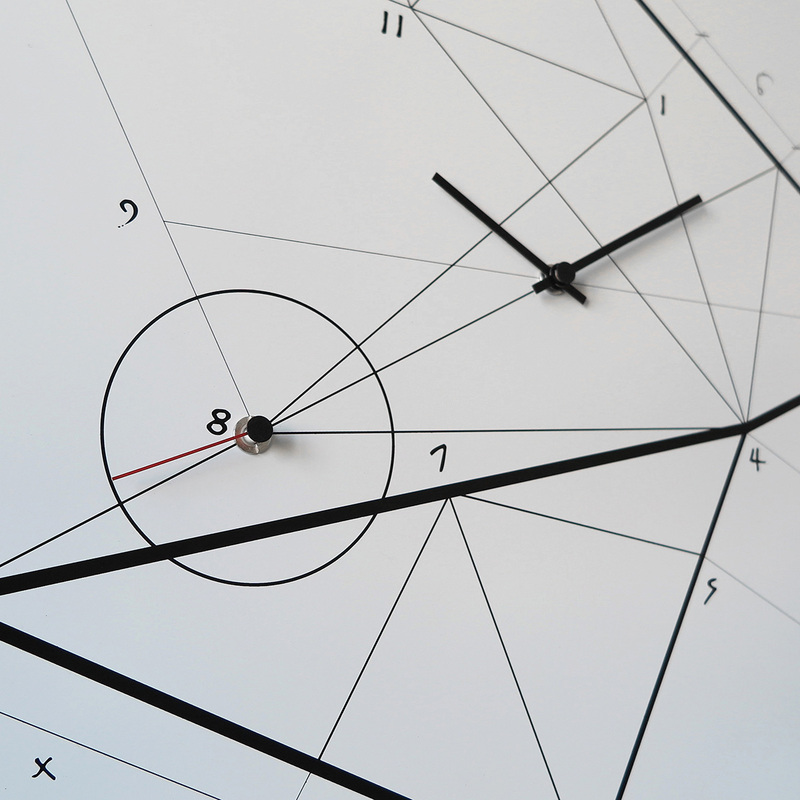 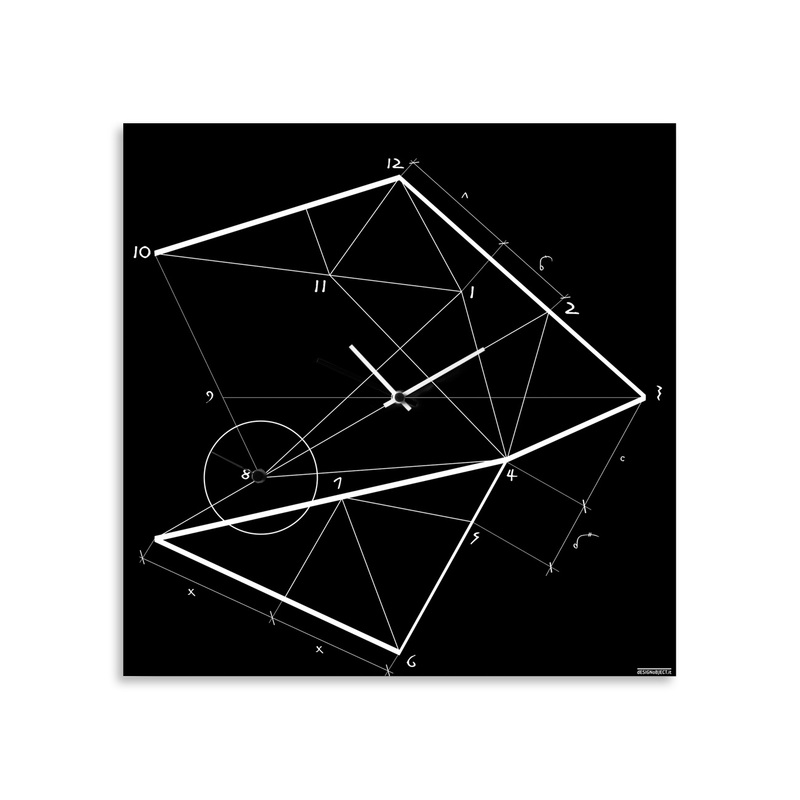 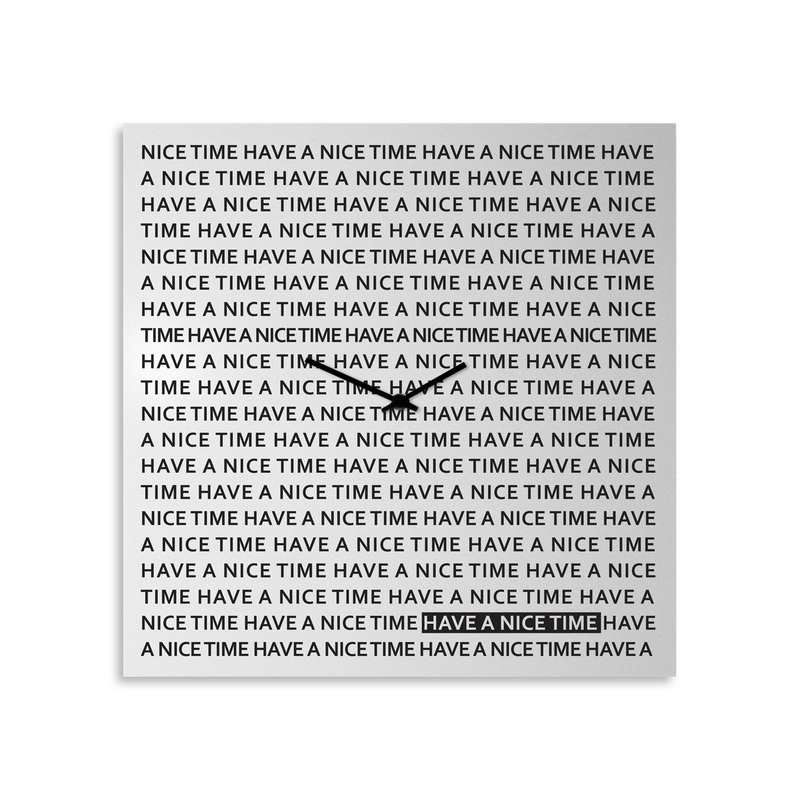 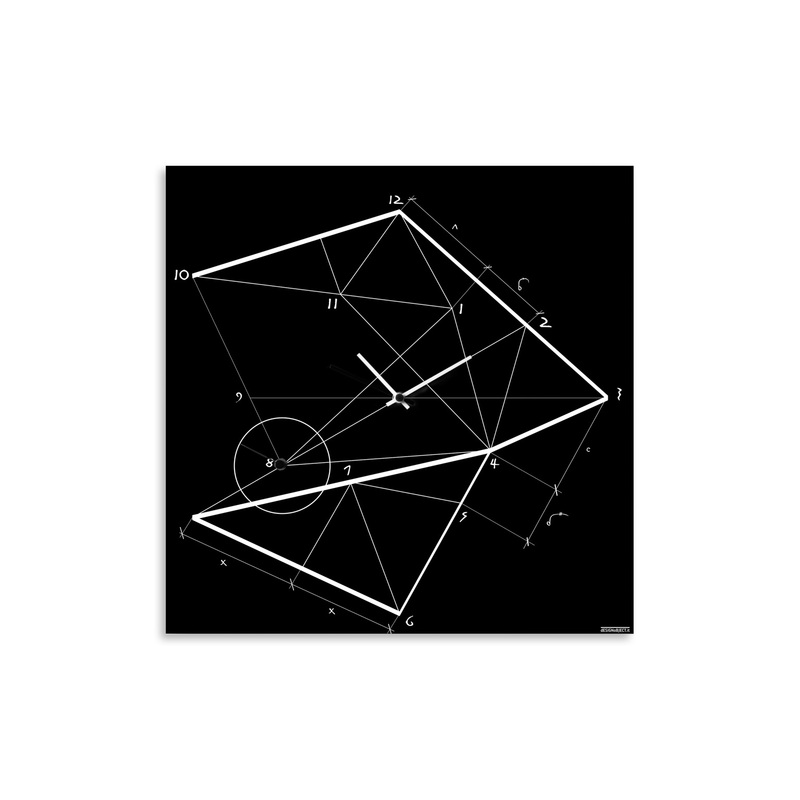 Time is something extremely dynamic and can be measured through established codes. 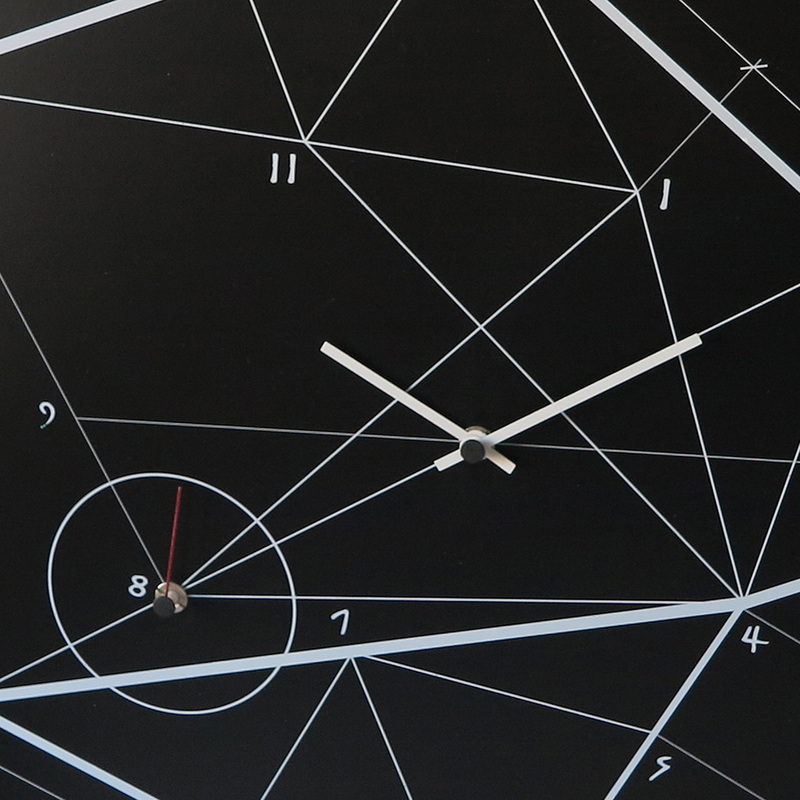 In Timeline Contemporary Geometric Clock, a broken line struggles to break free from the clock surface but it’s trapped by a net of dots. 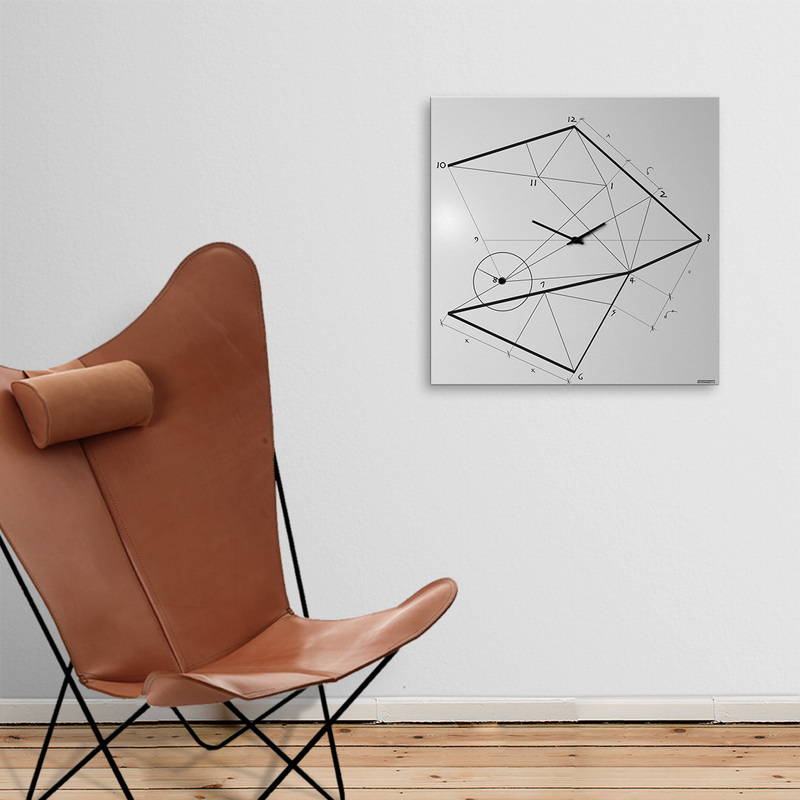 This clock is made from laser-cut metal sheet that is then bent and powder-coated. 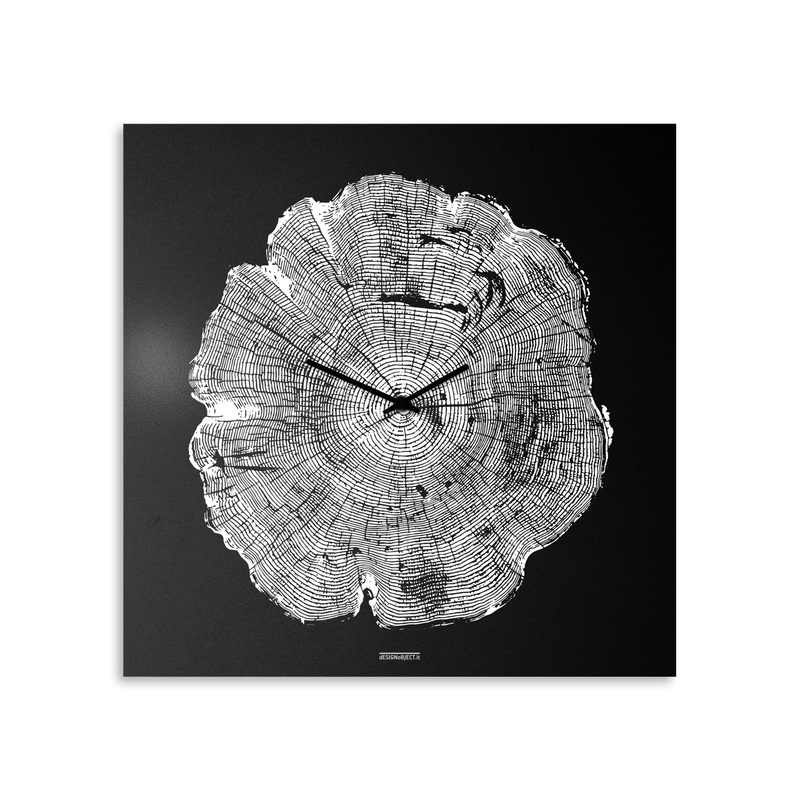 Hand screen printed. 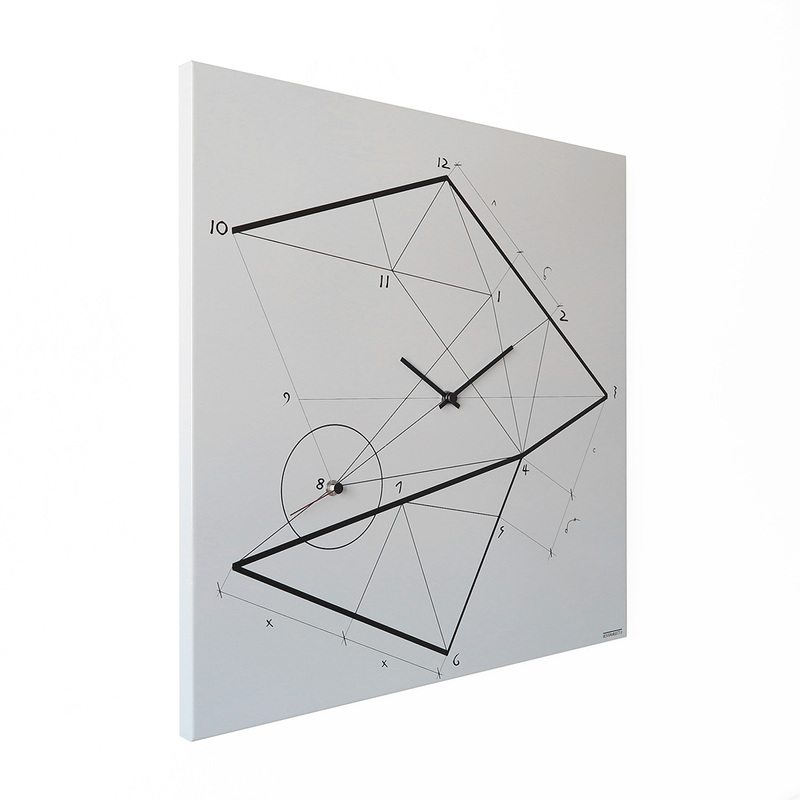 Clockwork by German maker Junghans.